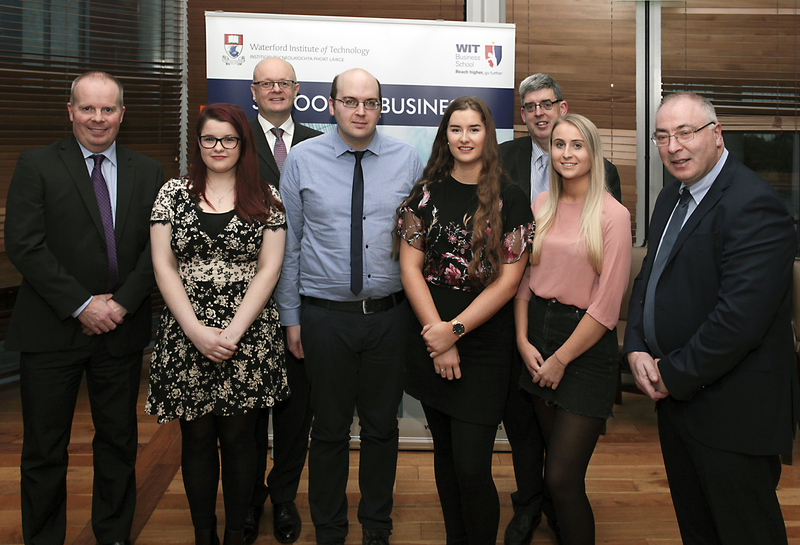 BA (Hons) in Accounting student Heather Duff-White of Dungarvan, Waterford is the recipient of the 20th annual PricewaterhouseCoopers scholarship. The 20th Annual PriceWaterhouseCoopers Scholarship Award ceremony took place on Monday, 5 November 2018. Martin Freyne, Managing Partner of PWC, presented the award to the 2018 recipient, Heather Duff-White. The PriceWaterhouseCoopers (PWC) Scholarship is an annual award given to a high achieving student who has completed Year One of the BA (Hons) in Accounting programme. Heather, a past pupil of Ard Scoil na nDéise, Dungarvan. accepted the Scholarhsip Award during a ceremomy held in WIT. Heather is now in her second year of the BA (Hons) in Accounting. As a Dungavrvan native, choosing WIT allowed Heather to stay at home and save while studying. The Scholarship has been running for 20 years and many past recipients have gone on to train with PWC and to pursue very successful careers in the accountancy field.